London is a magical place to visit at Christmas. The early arrival of darkness makes the Christmas decorations and lights part of most people’s working (or sightseeing) day, and there are lots of things happening to give the city a festive atmosphere. 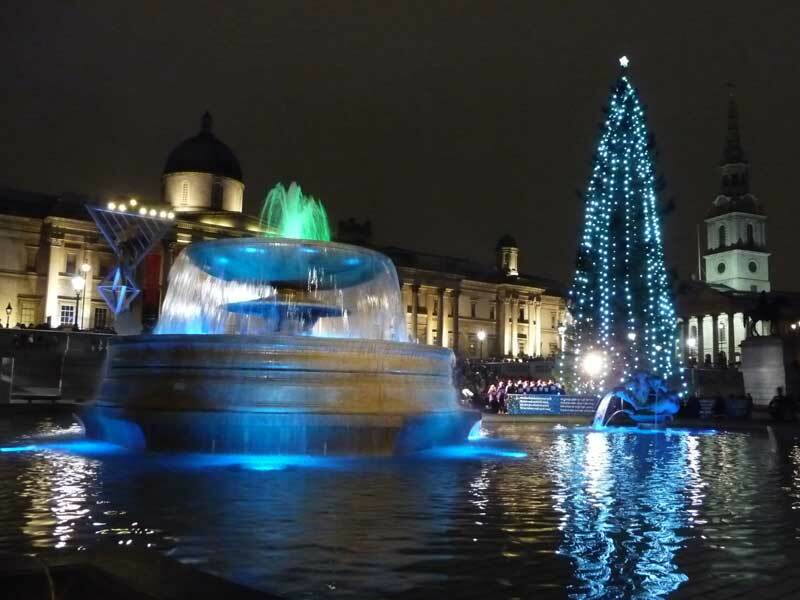 It all starts in Trafalgar Square, where you’ll find our Christmas tree and usually some carol-singers in the early evening. The tree comes from Norway, and is a long-standing tradition; it’s Norway’s way of thanking the people of Britain for help extended to them during the Second World War. This year there’s a short film on YouTube showing the 2015 tree being felled – Norway takes this very seriously, so foresters outside Oslo spend quite a bit of time preparing and nurturing trees for London. St Martin-in-the-Fields, the church overlooking Trafalgar Square, is well-known for the work it does with the homeless, and the Christmas Appeal, when the church raises funds for this work, is an important part of Christmas.